FunnelHacks Review – Buyers Review. Welcome to this Funnelhacks Review where you get to see the inside of the program. Description: A very comprehensive step-by-step internet marketing course on funnels and traffic. Bonuses included, see more below. Support: Email. Typically replies within 2 hours. Guarantee: Full 30-Days No Questions Askes – 100% Money Back Guarantee. *Bonus when investing: You also get access to Clickfunnels Enterprise Account for 6 months. PLUS: A LOT of other bonuses specifically made to compliment the product from Russell Brunson himself. You can see this as an education where you learn everything you will need to know in order to make your own sales funnel successfully. Made by a highly respected long-time internet marketer with great experience with sales funnels. Not directly aimed at beginners, more fitting for advanced. Price-tag, is fitting as the content is worth it many times over if you use the material. However, many will not be ready to invest that much time and money in themselves. Those who do will have the opportunity to emulate Russells many years of vast success with sales funnels and have the potential to make big financial gains. Content is thorough but takes time to implement. Powerful Personalized EXCLUSIVE BONUS INCLUDED – TRAFFIC BOOST – Total value $1094. High-end service, limited access! I get back to you and you get the bonus. See the bottom for the FULL rundown. – My email is: rune@runeellingsen.com. For anything. Please allow 24 hours for a response. When entering for more information you are taken to a webinar with Russell Brunson, creator of Clickfunnels. In this webinar, he explains in detail what you can expect to see inside. He also shares some nice golden nuggets, so if you have the intention of checking it out but are unsure if you would get it, then you might want to see the webinar so you at least get to know those. With that being said, this Funnelhacks review is here to show you all modules inside. 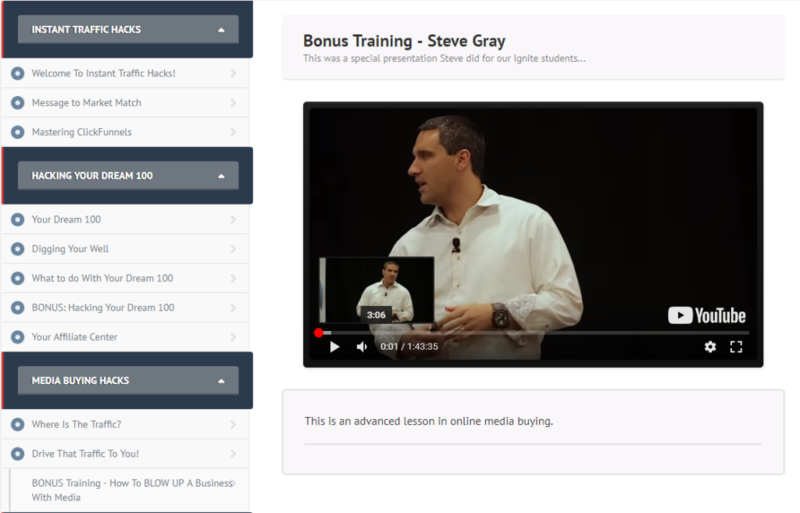 You learn the structure of a $500k Per Month Sales funnel, for free, just for watching. 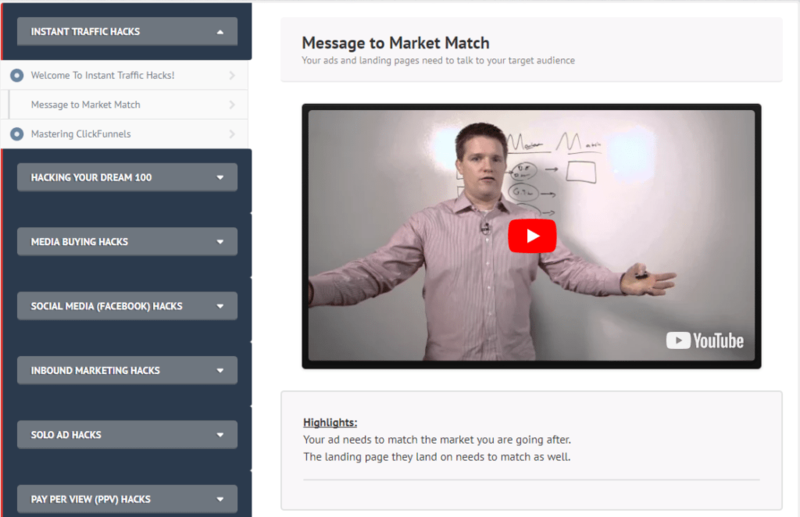 And in this video Russell takes you through a few key points you would need if you were to “hack funnels”, also he extends the invite to the Funnelhacks Webinar. When you click to register for the webinar you get this pop up where you can choose to join and watch the recording right now, or choose to watch on one of three weekdays. When you have signed up for the webinar, you either get redirected right to it if you choose to watch the replay now, or you get redirected to the webinar Countdown page. You will also be getting a link in your inbox when you sign up, and also on the day of the webinar as a notification so you remember it. Optionally you can add your mobile phone number to get a text notification there as well. It will only be used for that purpose. 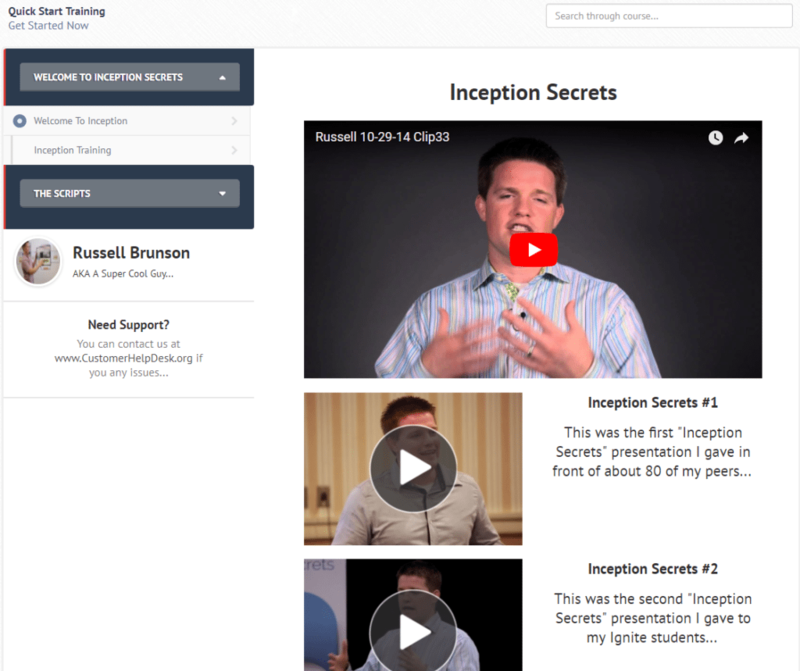 The video starts off with Russell Brunson where he is with Tony Robbins. Click To Download, FREE of charge. 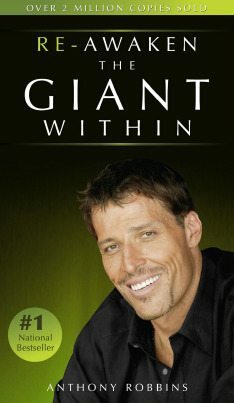 For those that don’t know Tony Robbins… He is one of the greatest self-help mentors we have in this time era. He’s a guru in his field. Highly recommended read, no matter what state you are in. His work is highly inspirational and is made for you to grow on. This Funnelhacks review, however, is not about Tony Robbins. You can find more info on him on Google. In the webinar, Russell sheds some light on what you might expect from the Funnelhacks program. And as mentioned, in this Funnelhacks review, we do a rundown of the actual content right here, right now. When you get inside Funnelhacks the first thing you see, as in most, if not all of Russells products is an intro video where he welcomes you with “the goofy face“, to the program. Notice the video still images. 😉 They are made like this on purpose, by the way, so they look natural and he appears as humanly as possible. Observe the main menu on the left. We will expand on this and reveal the content of Funnelhacks below. If the text in the image is small you can use CTRL+ and CTRL-, To zoom in and out on your pc. and BONUS, will be revealed later in the article. As you can see, this content covers a lot of bases. First, we have the introduction to the content, then we can continue to the training. 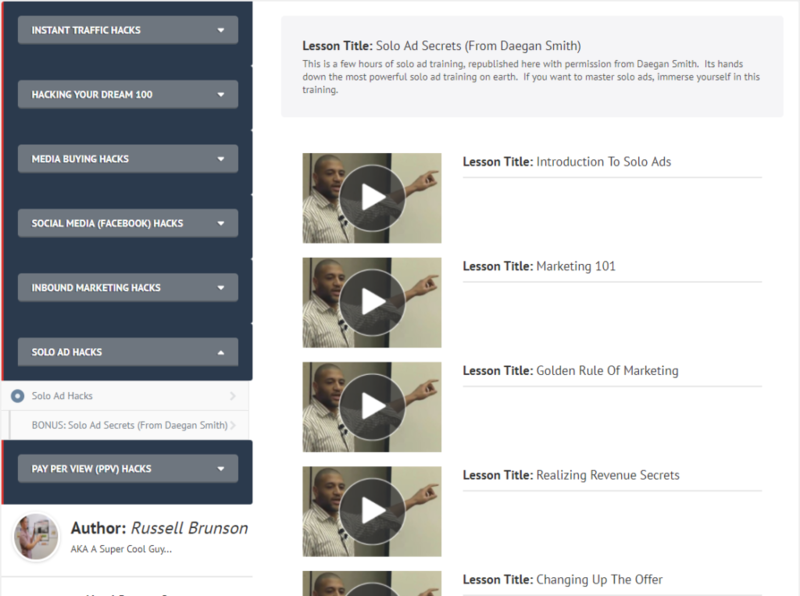 In this module, you can see that Russell is sharing 4 of his funnels which has made him a lot of money. For you, being able to replicate this, can be worth a lot to you. Russell has a supplement funnel, for those in that niche. He shares the Info Product Funnel, which is one of the most interesting for online marketers alike. Then he gives away all the nuggets and shows his valuable coaching funnel. 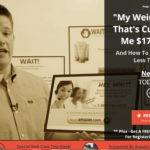 And in the end, you get to see the high converting Webinar funnel. All of these funnels are top notch and are the ones he has built and used successfully himself with help from his team. Russell explains the details for every funnel so no stone is left unturned. You can simply mimic what he has done, rewrite with your own words, and have a professional proven funnel yourself. This one is also very attractive to the online marketer as Russell lays out the blueprint you can use to generate a working product as fast as possible with his proven methods. Note that Russell has been doing this for over 10 years or so, and if you are looking into product creation, you may want to see this gold. He shares it all. If that module is what you need, then do not hesitate on the value. You can see the webinar here –> Click here to go to the webinar for Funnelhacks. As you can tell, this is a comprehensive course and this is the biggest module of the Funnelhacks program. Find A Successful Funnel, Or Use Your Own. Find The “HOOK” In Your Sales Message. Setup Your Squeeze Page In Clickfunnels. Setup Your Thank You, Or “Bridge Page. Integrate With Yor Squeeze Page. 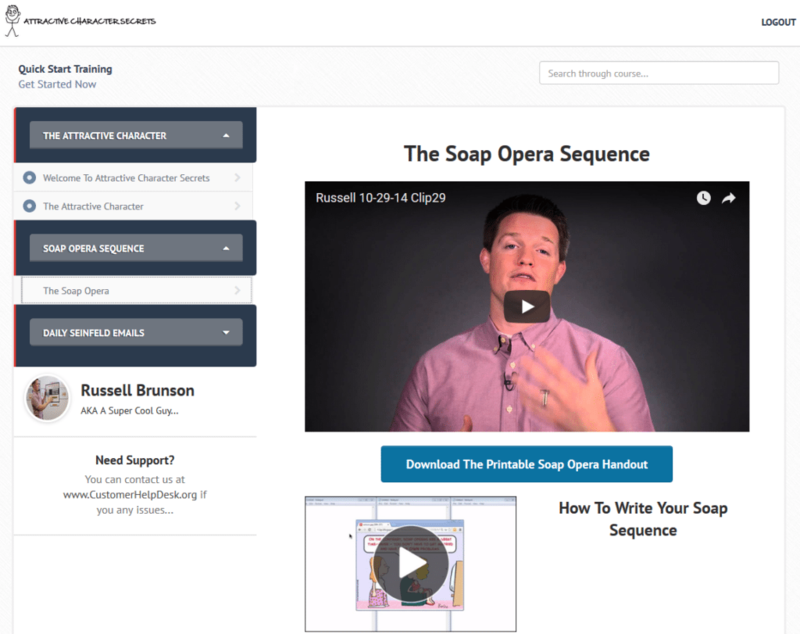 Setup Your Soap Opera Emails In Clickfunnels. With this, you learn to make HIGH converting Optin funnels from an expert in the field. Nothing is left out so you experience a tremendous value-packed training from Russell, on this topic. Many will be looking to learn this exact system as building a list is the core for most online marketers income. So this is highly attractive and sought-after material which when applied will bring you a funnel from which again you can get clients to subscribe to your list with. BIG NOTE: If anything, you should aim to do this one. I mean complete all the 8 steps and you have a proven machine you can send traffic to and build your business from. Without revealing the video content itself, I can say that with this training you may only need to get traffic to this funnel. If you’re thinking; “Yes, this is for me!” Then you can watch the webinar and get access by clicking HERE. 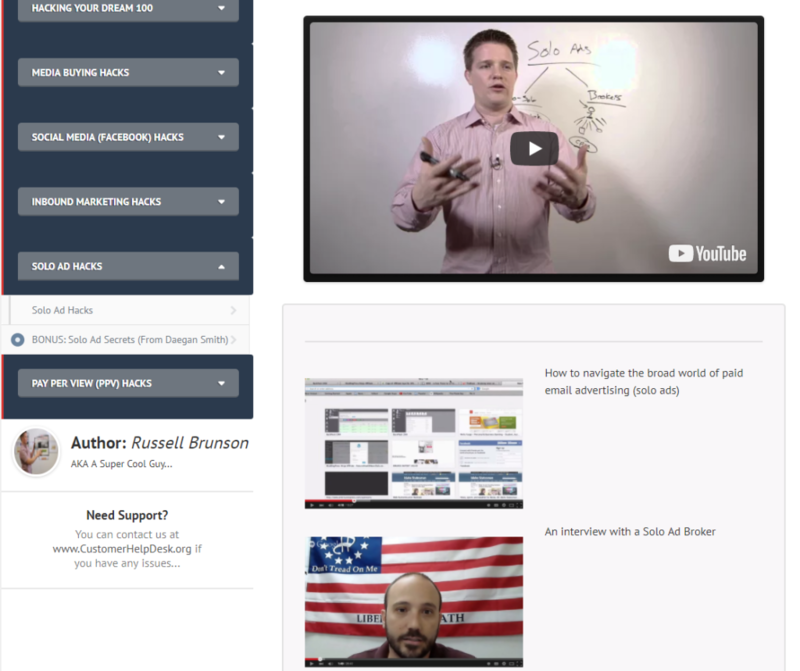 In this video, (1 hour and 19 minutes) Russell talks about sales funnels. How they work. Why they work. And how you can build your own, proven to convert clients into buyers. You get to learn all types of funnels and proven scripts that go along these. Average cart value per customer and much more. Russell’s own scripts again, make this a breeze to follow. Webinars is one of the top ways to get sales online. 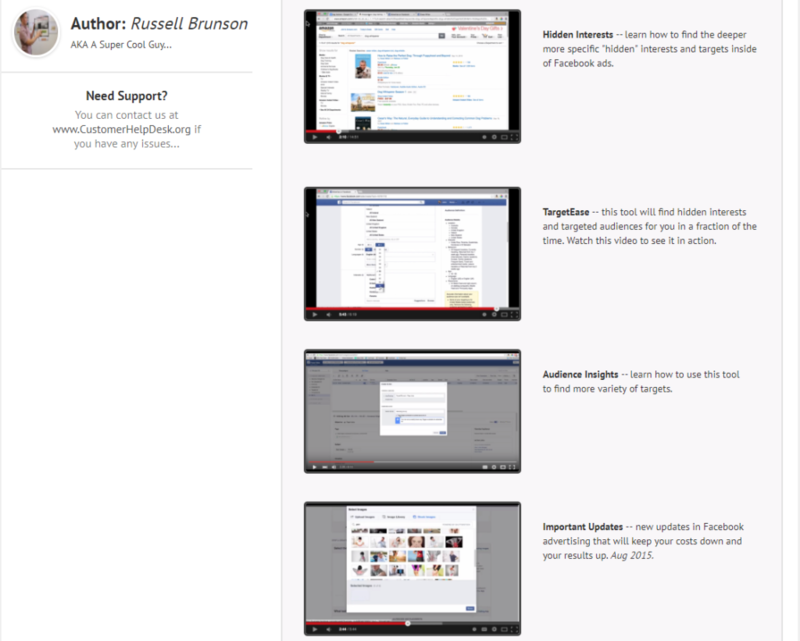 Russell has a knack for creating funnels and optimizing them for conversion. And this webinar funnel is just like that. 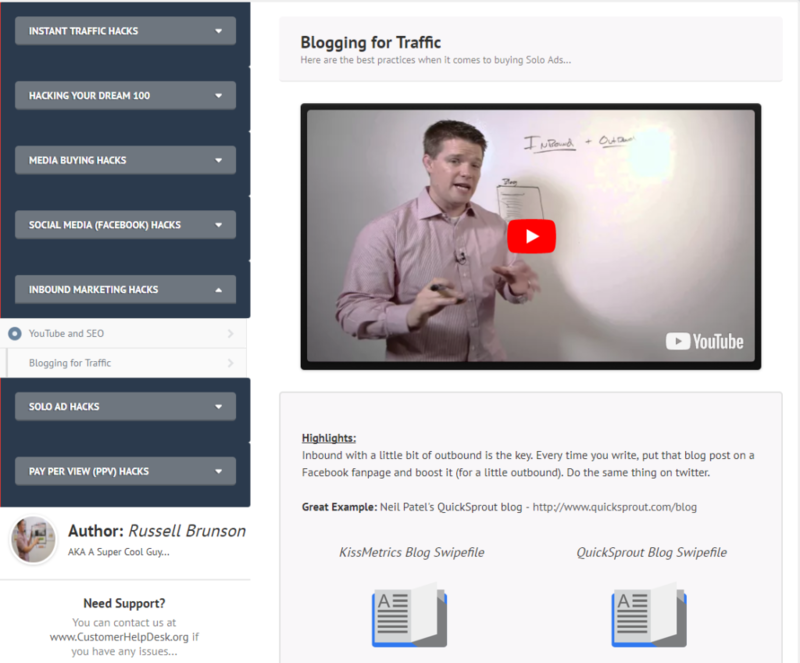 What you learn is, what pages you need for a webinar funnel, which is fine and dandy in itself… But you will also learn how to make the most out of your webinar according to Russell himself based on his experiences from hosting a ton of webinars in his many businesses. Pay special attention to this if you like webinars and want to make one for yourself. Webinars are highly engaging for your viewers and they convert like gangbusters on High Ticket Products, as well as a low ticket. Well, it is one thing to see a sales video, another thing to read a static sales text. Being INTERACTIVE or watching a presentation which can be a replay, but with participants… Brings another level of engagement and also interest as this is current and if not LIVE, can be recorded LIVE and that brings another level of credibility as it is harder to stage. Some viewers know this and appreciate the two-way communication as well as the human element behind this. If it is LIVE or recorded Live, things can go wrong so you will appear confident if you do a webinar, even if you do mistakes you get credit as you stuck your neck out there and appear to be genuinely interested in your client’s success as you are there with them. At least at some point. Watching a video which is not a webinar may appear more staged, and hence leaves questions such as; “Is he reading from a script in order to max the return on investment for himself”. And: “Does he not believe this is worth his time to present to as in person with us?” All sorts of questions appear. So if you want a killer tactic for high ticket sales with webinars done right, this training will show you how. Your time is valuable. That is why auto webinars were invented. Here, you get to learn how to do an automated webinar which will free up your time and still deliver outstanding results for your clients and your business. As you can probably tell, the Funnelhacks webinar is pre-recorded. Meaning Russell made this “work” once. He recorded once. And leveraging the content after that. You can do the same. Set the system up once. Then you only need to send and check up on your traffic, conversion and earning stats. To leverage your time more, you can send paid traffic, so only if you are confident, with a budget, or good at it, you will just create an ad campaign and then sit back and relax as the traffic and sales are on autopilot after it has been optimized. You will learn how to do this in the Funnelhacks training. Want to watch the Funnelhacks Webinar now? Go HERE. 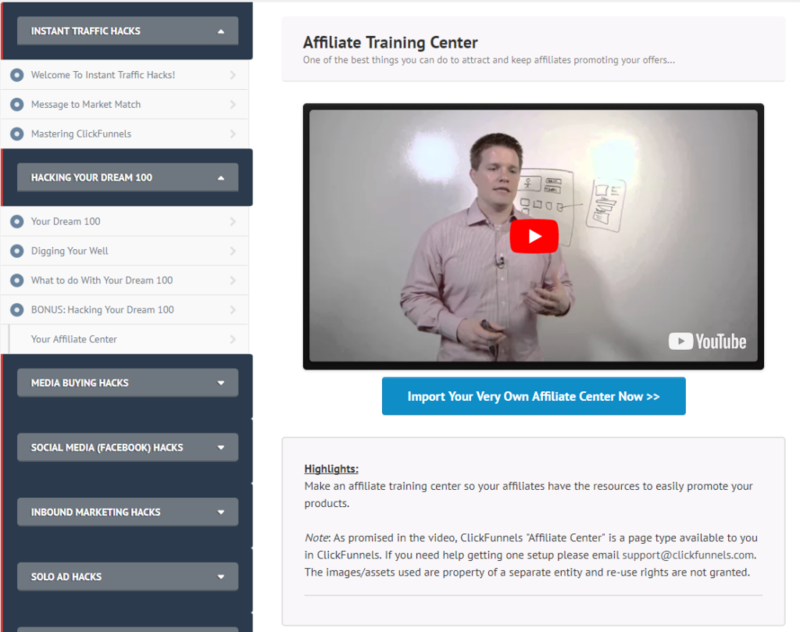 Russell has several membership sites and in this module, he breaks down how they work and how to set one up for yourself. Think you don’t need one? Think again… Having a membership site can add a hefty side income which can be automated. But in most niches, this is what it CAN do. Russell explains the ins and outs of having one. How to structure one. And this, as well as autowebinars… Can be made once… And then you can sit back and drive traffic to the proven funnel you get to learn. When Russel launched Clickfunnels, he made his biggest launch EVER. He has a lot of products in his arsenal and he is in many niches. When he launched Clickfunnels he did so with a bang. He really over delivered and that brought in a ton of clients to use this software. In this module, he teaches how launch funnels work. This is also a highly valuable training module which has helped a lot of businesses get their product off the ground and into the consumer awareness on a mass scale. Doing a launch of a product takes time and preparation. Russell teaches how he does it, so you can learn from his failures and also, successes. If you are looking for a review on Clickfunnels I have made which you can read here. Click Here To Read The Clickfunnels Review. In this Funnelhacks module, Russell takes you to the final equation you need, namely MORE traffic to your offers. Russell saw that he needed to fill in a gap and added this to the training. This is an older video, but everything he shares works. There is also another EXTENSIVE module on this. We are now off into the next section. This is a deep study of psychological principles you can use to get a good/rabid response from your crowd. 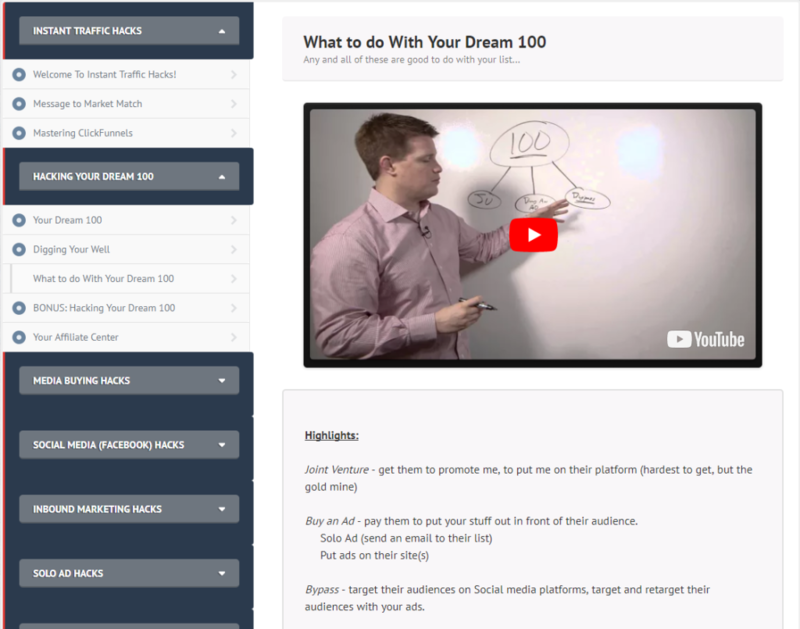 Russell shares real gold here as well, and this module has the potential to make you a tribe, just by following and implementing the tactics Russell has used with his Clickfunnels community. Do not mistake this for anything other than rock solid underground secrets that WORK. Unorthodox for some, but highly potent. In the next Funnelhacks Review module, there is a “brother” to this training. This is another high-value psychological twist you can use in your marketing efforts where you are seen as not only an authority but a guy to follow, every day. Give special attention to the modules within. This can really set you apart from your competitor and make YOU and YOUR product more appealing, even if it is the same product as the next guy. As you can see there is a guest appearance by John Alanis, where he teaches this extensively. This section is also pure gold as Russell dives deeper into more psychological factors which help you keep your clients eager to listen to your words. This product is really made for you to engage your clients THE most, Be sure to check it out. This is a critical module for paid ads. By following what is taught in this module you will have the foundation in place to have a deeper understanding of your audience so your ads speak more directly and appeal to them more specifically. This is a section on how to use Clickfunnels. You do not need it to use the rest of the course, but if you want it you can get it here: Visit Clickfunnels. Who are my dream 100? How can I mine that gold? These are the CORE principles you get to learn so you can get traffic. This was a turning point for Russell as it became immensely much easier to get traffic after applying this training. It can also be applied to all your marketing online. Want access to Funnelhacks now? Here Russell teaches the foundational pieces of how to nurture and grow the relationship for JV partnerships in detail. Pay close attention to this Funnelhacks module if you are planning your own launch. And here he shares the next important steps of the process after you have started your Dream 100 list. This gives you the bird’s eye view of your new business plan so you can steer it in the right direction. This is a recording done which lasts a little over 52 minutes which expands on the concept you just have learned. It’s taken from a $10.000 Dollars event. 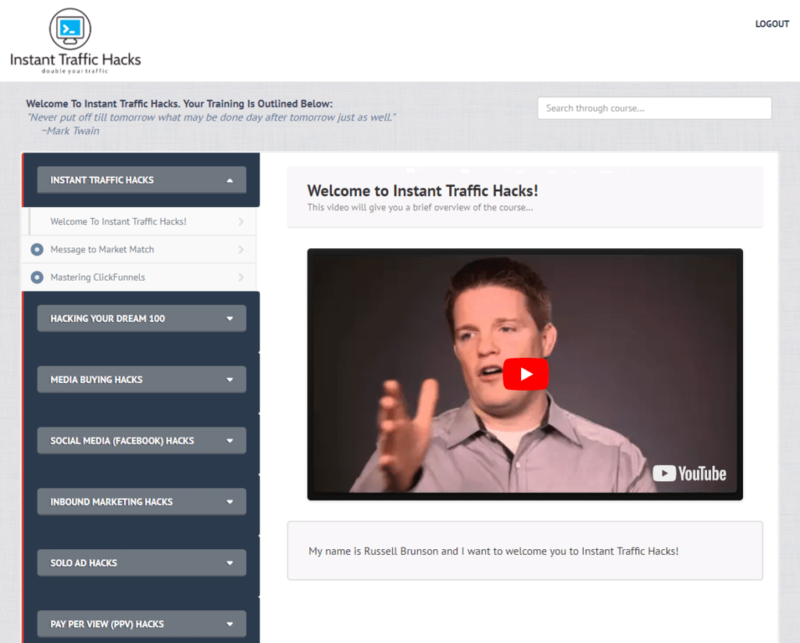 In this module of Instant Traffic Hacks, Russell Reveal how important having an affiliate center was for his business. Also, how it can be for yours. Having affiliates is like having an army of salesmen that work for you. Nurture that relationship good. This goes hand in hand with the previous JV module. From this powerful module, you get to learn how you can look at media buying to reverse engineer where your competitors are getting their traffic. So you can get the same for your projects. You get to see the sites your competitors are using. Most importantly, continues to use. This way, by finding an ad which has a record of being consistent. You get to see the top converting ones, in the niche. Emulate theirs and do your own. And now in this module, you get to learn how to create and place your first banner ad. After the above steps, you have learned what converts well. Now you will make a good converting one with the data you have gathered. This is also a recording taken from the live Ignite Event. Steve Gray is a humble expert* in media buying, and he delivers, as a favor to Russell, what he knows to work. 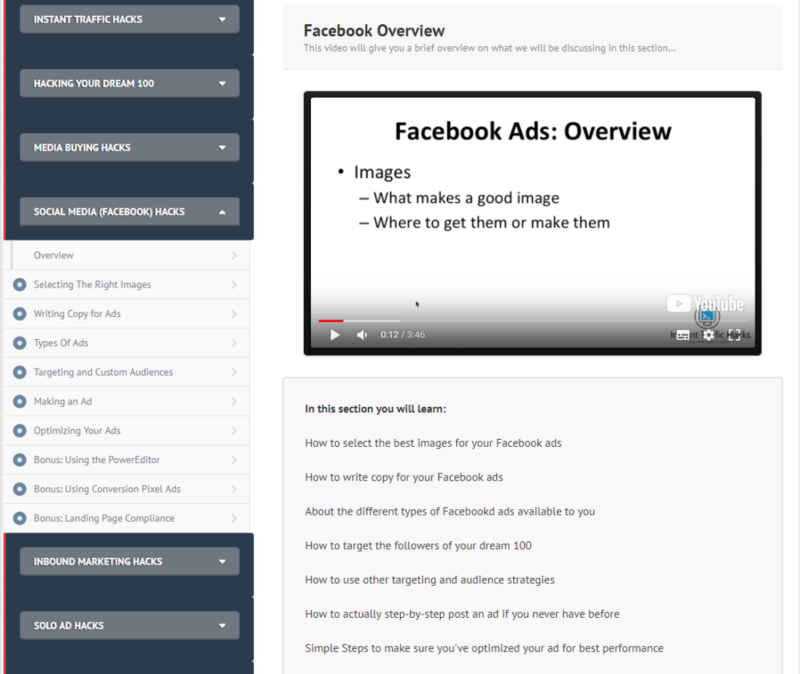 As you can see this is an overview of the comprehensive module on Facebook ads. Bonus 1: Using The Power Editor. Bonus 2: Using Conversion Pixel Ads. Bonus 3: Landing Page Compliance. This can also be very useful outside of Facebook because Russell uses Facebook ads A LOT, it means some of this knowledge can apply to many of your other traffic ventures as well. Here you get to master a very important piece of your advertising. Getting your image for your ad, spot on. And here you get to master next highly critical step, the copy of your ad. Copywriting is one of THE highest paying jobs online. Here you get to learn copywriting tricks from Russell’s own treasure chest of nuggets. 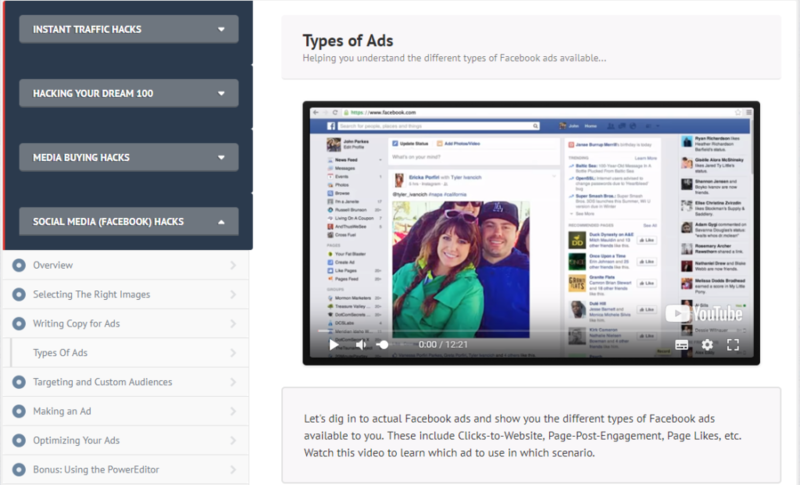 This is an overview of what types of ads Facebook presents you with. With this, you will learn what exact ad type applies to you and your project. This section covers another vitally important step you need to get right. Following this training, you will learn how to get the exact pinpointed interested custom audience for your campaign using Facebooks targeting features. Do this and you have a solid foundation for targeting your niche and their interest which you can use over and over. 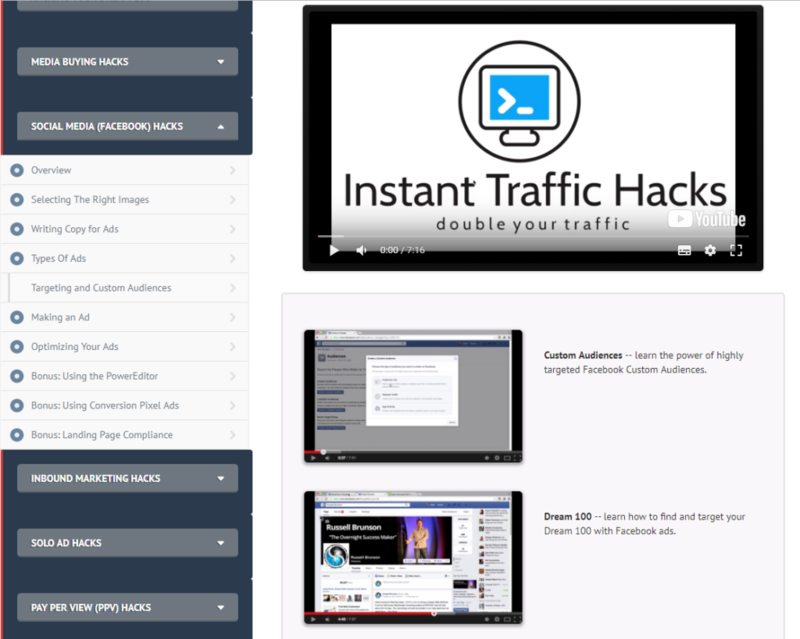 In this section of Instant Traffic Hacks, you get to see how to make a Facebook ad in only 12 minutes. Here you get to learn tricks to tweak your ad for maximizing for optimal conversions. This ensures that you have more width to your campaign options. Spend some time with this one. Get it right before you hit start, to publish your ad. And here you to learn how to use the Conversion Pixel for even better conversions and retargeting. Again, a crucial point which goes hand in hand with the previous module. Get access to the training, enter HERE. As you can see, I wanted to show you this but needed to keep the integrity of the product and not give away the actual nuggets. Rather this Funnelhacks review is a showcase of what topics are covered from longtime marketer Russell Brunson. Step 2. Creating your videos. Wrap one of my videoes. Fiverr to promote the video. 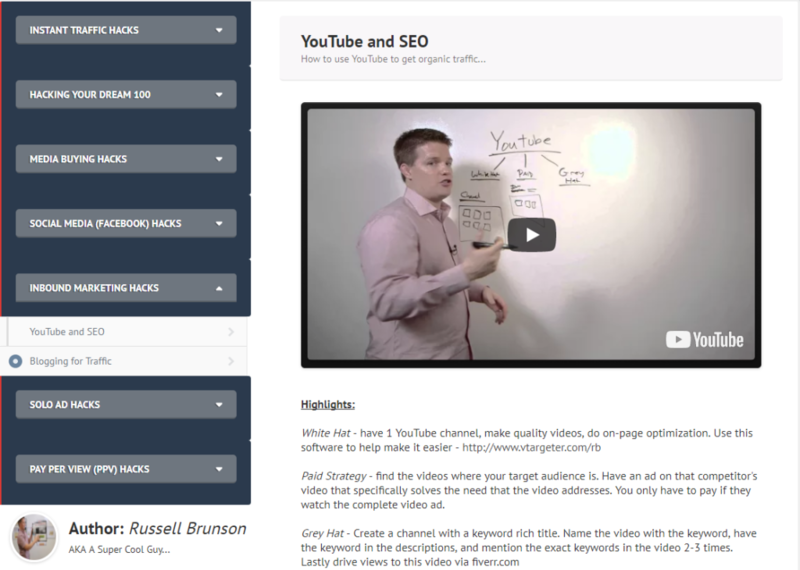 Here Russell teaches how to use YouTube for SEO, as opposed to Google SEO itself. His experiences with SEO has been good, but as Google, itself changes all the time it is not the most stable traffic option. YouTube, on the other hand, is better according to Russell, and you get to learn why and how to use it correctly for big results. Blogging is a great way to drive traffic but it can be time-consuming. Russell teaches how to go about and do this properly within this section. How to use solo ads. 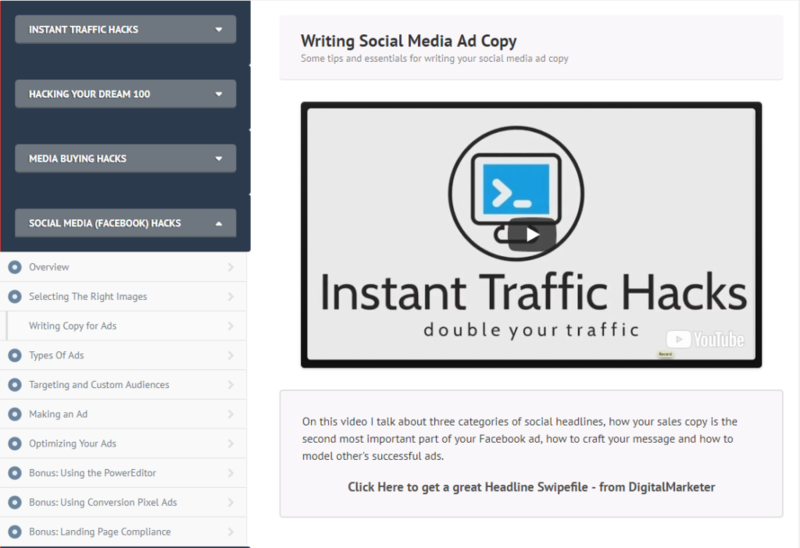 This is a very potent module with extended content in Solo Ads. And how to get it and use it for your promotions. This is great for building a list and selling your products. Included is a recording from a solo ad vendor with a lot of success. Listen to this before you get your solo ads. 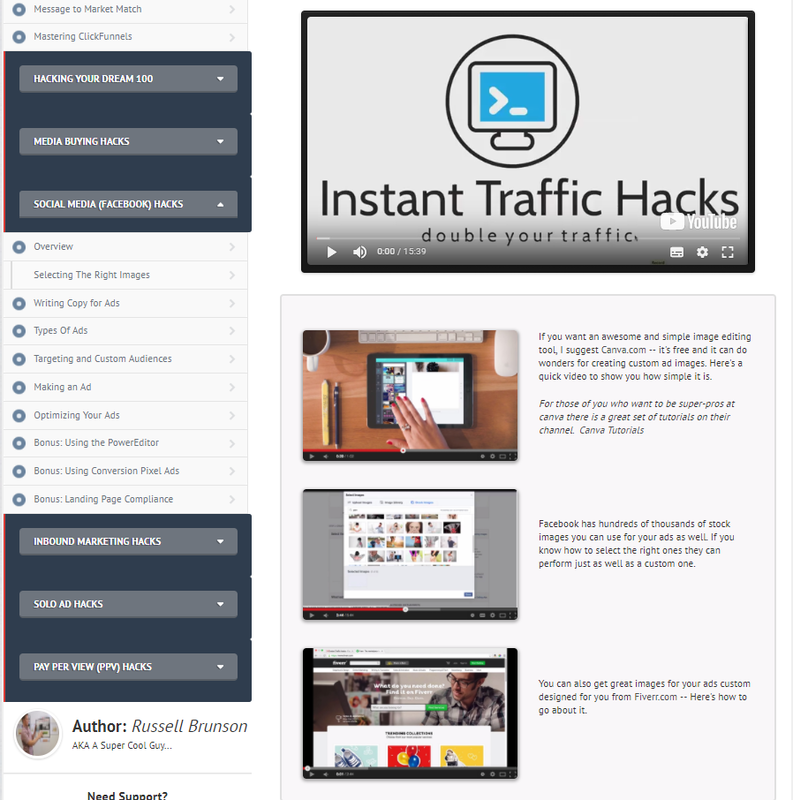 As you can see, this is another comprehensive module in Instant Traffic Hacks. You get to learn all you need to know in order to get solo ads which work for your business. If you are ready to get access to the Funnelhacks webinar, you can click —> Here. 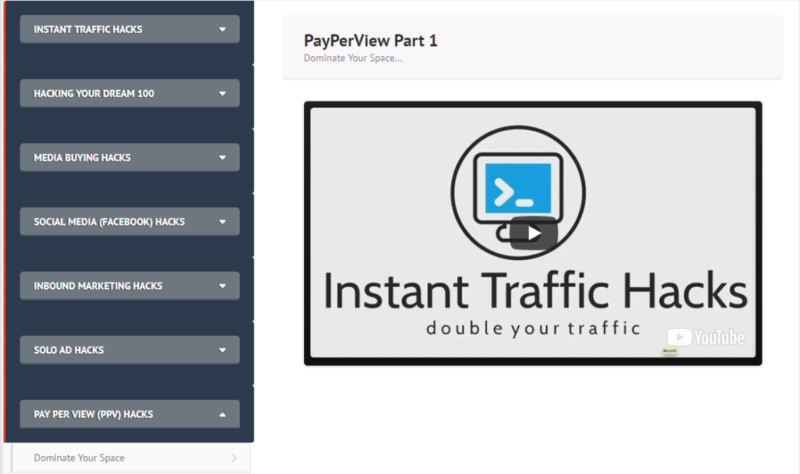 This is an overview where you get to learn what and how powerful PPV traffic is, and also how to use it for your promotions the best way. In this section, you learn how to find the keywords to use for your PPV campaigns. 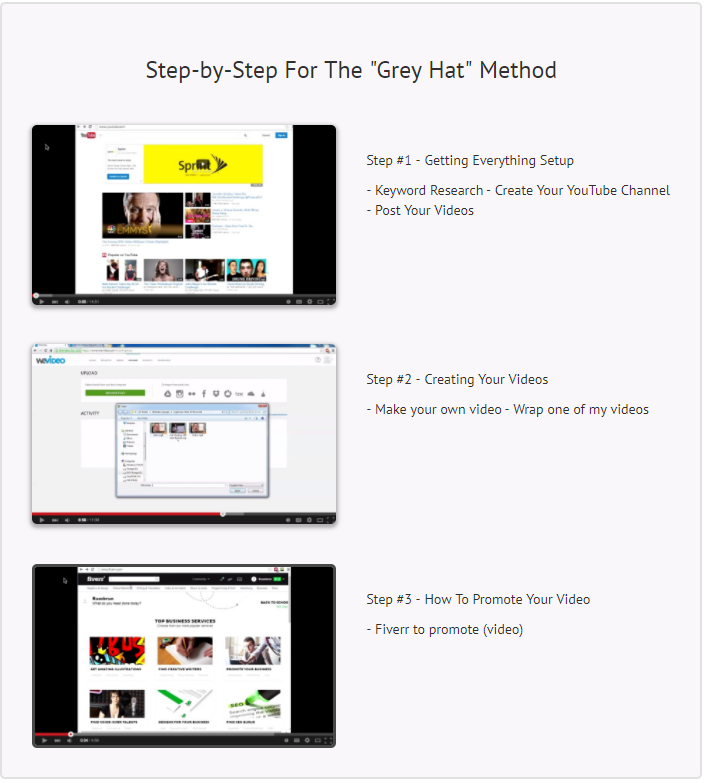 And in this final section, you get to learn the platforms to use and also how to optimize your Pay Per View campaign. Very comprehensive course for serious marketers from a highly reputable online marketer which covers everything you would need to get targeted traffic. Reveals what you need to know about your competitors. Teaches how to make your own product. Educates you in all major areas within this field so you can use it as a foundation for all your projects. 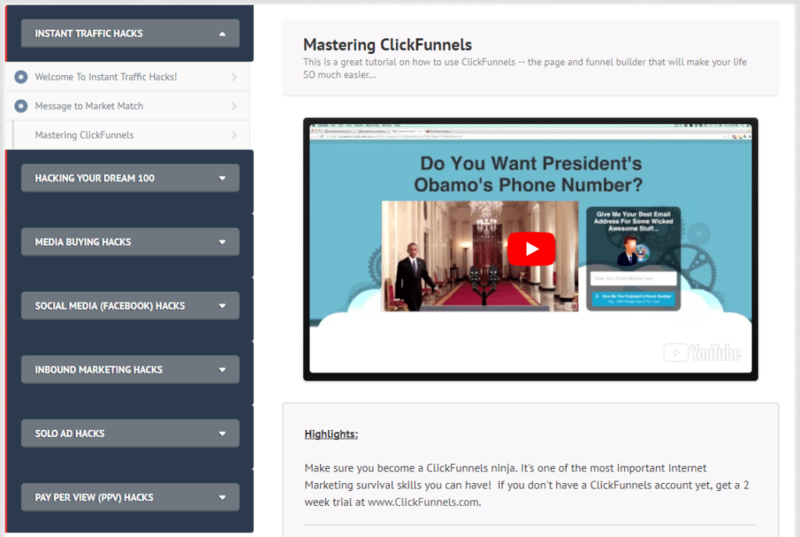 Free 6 Months of Clickfunnels full suite version. Full 30-Days No Questions Asked 100% Money Back Guarantee. The price tag, Not for everyone. A bit time-consuming. Take notes as you go along for faster implementation. 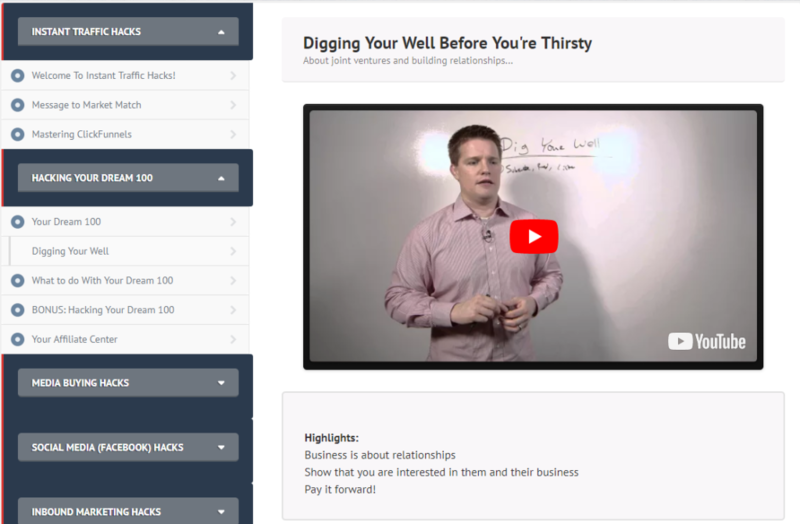 FunnelHacks is an amazing, massive course which takes you by hand, revealing everything you need to know in order to get your sales funnel converting and keeping your clients satisfied. This goes from spying on other successful funnels. Revealing all their data for their ads and their traffic sources. Then you can use this to emulate their success into your own. It is made to cover all bases and does rightfully so. This is a high-end product you can expect to work as it states on the tin. I recommend it to anyone serious about their online business with a budget wanting a proven high-end system to rely on and follow to get where they want to be according to the material inside. The value is priceless as you can, with these strategies, make much more than you invested. The product is of course backed by a full 100% No Questions Asked 30-Day Guarantee. Worth noting again in this Funnelhacks review is the fact that if you choose to get inside, you also get access to Clickfunnels Enterprise (Full Suite) account for 6 months. The product is backed by a full 100% No Questions Asked 30-Day Guarantee. You get to learn all you need copy success and make it your own. Spy on your successful competitor’s ads. Total Value: Estimated over $11,552.00 by Russell Brunson. You have a full 100% No Questions Asked 30-Day Guarantee. 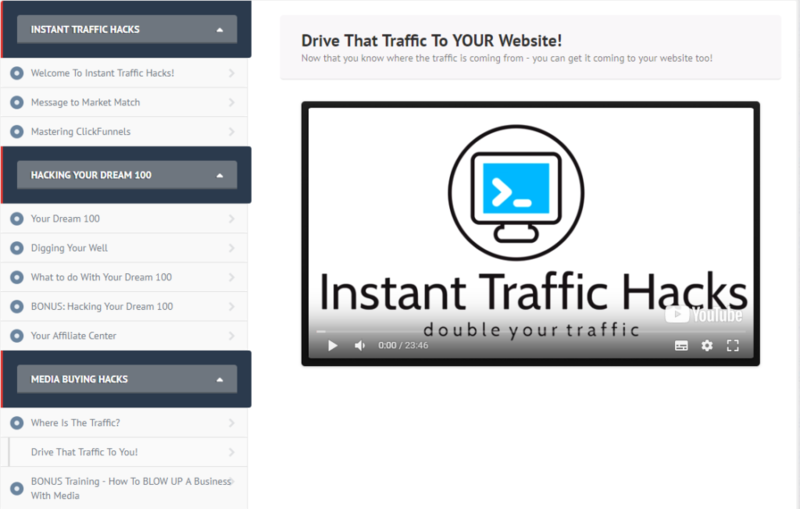 When you get Funnelhacks from my link, you are instantly entitled to a FREE traffic boost. This is a high-end service I offer which costs up to $997(! ), and it is yours FOR FREE after 30 days of purchase of the Funnelhacks course. + You get it DONE FOR YOU, as in, we do the manual work required in forehand as well, added value, $97. Be sure to use the buy button on this page in order to qualify for it. After 30 days, send us an email with your receipt containing your transaction ID so we can track it in the system to verify your purchase and the special bonus. I will then get in touch with you personally so you get the best service and also, so we make the best out of the traffic. This consultation is FREE and can last up to 30 minutes. It can be done in 5 minutes as well if you have a project ready. Use it on any site you have, no adult, or other “no-no” sites. 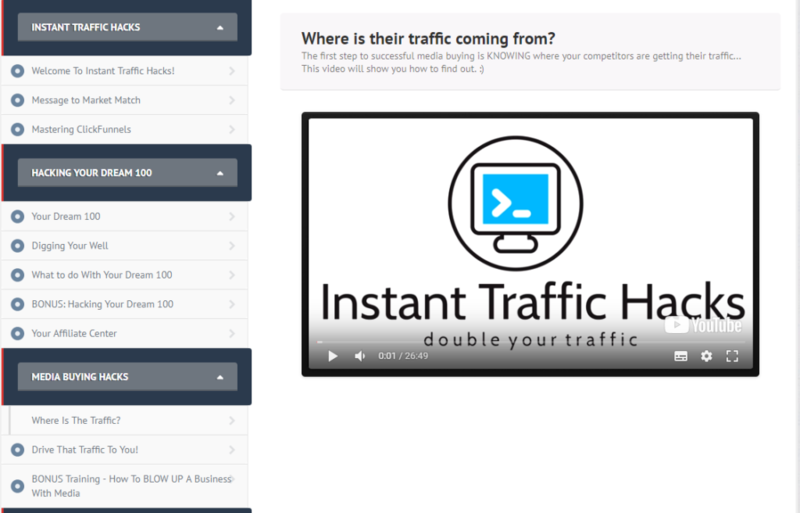 So to recap, this Funnelhacks bonus provide you with traffic. 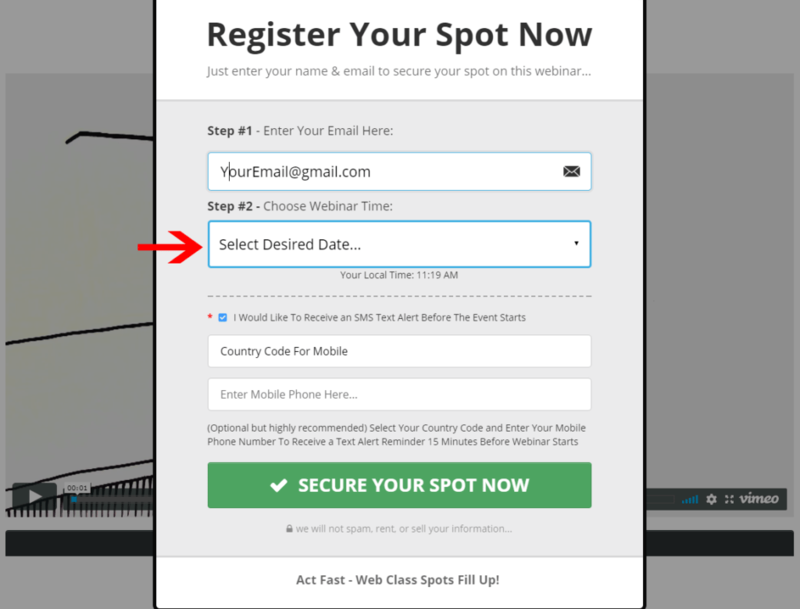 To get it now, use the buttons above or click this text to go to the webinar. This bonus is limited and very exclusive. You can only find it here, on this site. When the bonus is gone, this text will be gone as well, so right now it is available to a select few. All the best your business growth. Please share your thoughts if you liked the Funnelhacks review.